To order a copy of PV II, click on the image, or right here. Review of Thomas Mira y Lopez's new collection of essays, The Book of Resting Places: A Personal History of Where We Lay the Dead, in Orion, Vol. 37.2, Summer 2018. New poem, "Late Winter: Metrics for the Indistinct," published by The Hopper as an Honorable Mention for their book award. Attended the 4th Beargrass Writing Retreat, Greenough, Montana. My poem, "On Mere Point," reprinted in the Portland Press Herald's Deep Water column, edited by poet Gibson Fay-LeBlanc. Originally published in the Crab Creek Review. New essay, "The Elusive Ghost: Moose on Isle Royale," in the new anthology, Permanent Vacation: Eighteen Writers on Work and Life in Our National Parks, Vol. 2, from Bona Fide Books, edited by Maeko Bradshaw. Short-short fiction, "The Men's Meeting," published in the Denver Quarterly, No. 52.2. New short-short fiction, "Morale Event," and "The Ugly Ornament," in the Anchala Studios Flash Fiction for Flash Memory anthology, edited by Anne Anthony & Cathleen O'Connor. To order the Flash Fiction for Flash Memory anthology, click here. A new chapbook of poems, Flow Variations, published by Finishing Line Press, December, 2017, in a limited press run. You can order a copy from Finishing Line Press, Amazon, Abebooks, or other independent booksellers. To order Flow Variations click here. Review of Tim Winton's memoir about his life in Australia, Island Home, in Orion 36, #4. Poems "Tourist Canoe," and "Still Life with Cormorant," in the Caffeinated Press anthology Isle Royale from the AIR: Poems, Stories and Songs from 25 Years of Isle Royale Artists-in-Residence. Short fiction, "The Naturalist," published in Arts & Letters, in the Fall 2017, Issue 35. Poems, "Evidence," and "The Night Trees," published in Poetry Northwest, 12.1, Summer & Fall 2017 & my poem "Naming the Everglades" featured online as PNW poem of the week. Poem, "Tourist Canoe", in the first Riverfeet Press writing anthology, Awake in the World: a Collection of Stories, Essays, and Poems about Wildlife, Adventure, and the Environment, June 2017. To purchase a copy, click on the link below, or the cover image to the left. Poem, "The Gulf," a finalist for their annual contest, published in the Mississippi Review, Vol. 45, No. 1 & 2, Summer 2017. Attending the biennial Assoc. for the Study of Literature & the Environment (ASLE) Conference, Detroit, MI. Writer-in-residence at Denali National Park, Denali, Alaska. Review of Melissa Sevigny's collection of essays, Mythical River: Chasing the Mirage of New Water in the American Southwest, in Orion 35, #4 & 5. My poetry manuscript is a Finalist for the Barry Spacks Poetry Prize from Gunpowder Press. Attended the annual Assoc. of Writers & Writing Programs (AWP) Conference, Los Angeles, CA. My poetry manuscript is a Finalist for the Vassar Miller Prize in Poetry from University of North Texas Press. My poem "Portrait: Parsing My Wife As Lookout Creek" is included in the anthology, Forest Under Story: Creative Inquiry in an Old-Growth Forest, edited by Nathaniel Brodie, Charles Goodrich, and Frederick Swanson. 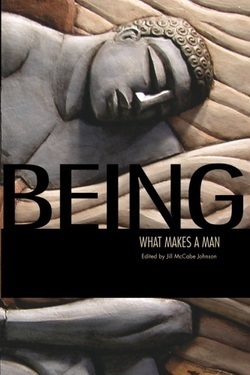 Flash memoir, "Repairs," included in Being: What Makes a Man, a new anthology by Jill McCabe Johnson, University of Nebraska-Lincoln Gender Programs. Writer, Mt. St. Helens 35th Anniversary Field Pulse, U.S. Forest Service. Participating artist observing scientists, graduate students, and others taking 35-year post-eruption benchmark measurements. Mt. St. Helens, Washington. Writer-in-residence at Everglades National Park, Homestead, Florida. Four poems, "His Winter Beast," "The Range," "Parched," and "Demolition," in the spring issue of Talking River, Vol. 38. My poetry book manuscript, His Winter Beast, was a finalist for the May Swenson Poetry Award from University Press of Colorado. Review of Charles Finn's debut collection of essays, Wild Delicate Seconds: 29 Wildlife Encounters, at Terrain.org. 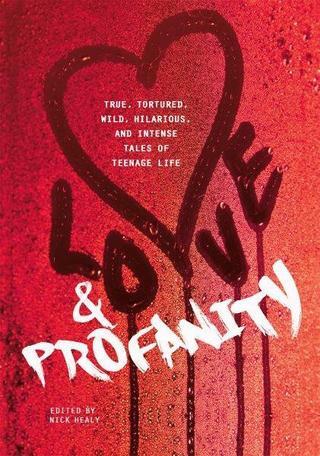 New piece of memoir, "Ambushed," in a Switch Press Young Adult Anthology, Love & Profanity: True, Tortured, Wild, Hilarious, and Intense Tales of Teenage Life, edited by Nick Healy & crew, Switch Press, Minnesota. New essay/poem, "Considering a River: Lookout Creek, Writing, and a Brief Meditation on Movement," in the journal saltfront: studies in human habit(at), No. 3, Winter 2015.
Review of wildlife photographer Tosh Brown's fly-fishing memoir, Top of the Flood: Halfway Through a Fly-fishing Life, in issue 6.2 of The Flyfish Journal. Review of Susan Allspaw's debut collection of poems, Little Oblivion, in the winter and five year anniversary issue of the journal Sugar House Review. Review of Tom Kealey's debut collection of stories, Thieves I've Known, at Terrain.org. Short memoir, "Monsters," out in Story Magazine, online edition. Poem, "Leaving," published in the journal Day One, an Amazon Publishing e-reader magazine. Poem, "Ode to Smith Meadow," in issue 6.1 of The Flyfish Journal. Two new poems, "March in Snoqualmie" and "Field Sermon," published in online magazine Poecology, (Poecology.org) Issue 4.
Review of the poetry collection Render / an Apocalypse, by Rebecca Gayle Howell, on Terrain.org. Review of the poetry collection A Scripture of Crows by Charles Goodrich published on Terrain.org. Review of the poetry anthology The Ecopoetry Anthology, edited by Ann Fisher-Wirth and Laura-Gray Street, published on Terrain.org. Moderator & panelist on Artists in the Old-Growth: OSU’s Spring Creek Project & the HJ Andrews Experimental Forest with Alison Hawthorne Deming, Charles Goodrich, Kathleen Dean Moore, and Fred Swanson at the 2014 Assoc. of Writers & Writing Programs (AWP) conference at the Washington State Convention Center, Seattle. Review of the Orion Books anthology Thirty-year Plan, edited by Jennifer Sahn, published on Terrain.org. New poem, "Coyote's Anthem," published in the Sugar House Review, Vol. 5.2. New poem, "Portrait: Parsing My Wife As Lookout Creek," in Best New Poets: 50 Poems from Emerging Writers. Review of the short fiction collection The Invisibles, by Hugh Sheehy, on Terrain.org. Review of the essay collection Hunger Mountain: A Field Guide to Mind and Landscape, by David Hinton, on Terrain.org. New poem, "Amputations," published in the Tampa Review, Vol. 45/46. New poem, "Submerged," in the Briar Cliff Review, Vol. 25.
Review of the memoir On the Dark Side of the Moon: A Journey Toward Recovery, by Mike Medberry, up on the Terrain.org blog. Review of the nonfiction book The Natural Building Companion: A Comprehensive Guide to Integrative Design and Contruction, by Jacob Dev Racusin and Ace McArleton, in the Terrain.org Craft Issue, No. 32. Moderator & panelist on Massholes: Writer Rage, The Pike, and the Beauty of a Rotary with Jonathan Crimmins, Susan Rich, and Julie Kane at the 2013 Assoc. of Writers & Writing Programs (AWP) conference at the Hynes Convention Center, Boston. Finalist, Hill-Stead Museum's Sunken Garden Poetry Chapbook Prize. Review of the essay collection Among the Ancients: Adventures in the Eastern Old-Growth Forests, by Joan Maloof, up on the Terrain.org blog. New essay, "Beautiful Poisons: Mine Tailings and other Contradictions in Montana's Historic Mine Country," in the Platte Valley Review Forces of Nature issue, Vol. 33.1.
Review of the poetry collection Thousands Flee California Wildflowers, by Scot Siegel, in the Terrain.org Ruin & Renewal issue No. 30.
Review of the essay collection This Ecstatic Nation: The American Landscape and the Aesthetics of Patriotism, by Terre Ryan, up on the Terrain.org blog. The Icarus Contemporary Vocal Ensemble performs the world premieres of Spectator and Alone, two new pieces of music by international composer & musician, Rene Mogensen. The pieces include as lyrics Gottlieb's poems of the same names. Review of Sing: Poetry from the Indigenous Americas, edited by Allison Adelle Hedge Coke, in the Terrain.org Migrations issue No. 29. New poem, "Perimeters", in the Sierra Nevada Review, Vol 23. Talked about poetry with Jesse Callaway's first-year English class at McKenzie High School in Blue River, OR. Go Eagles! Finalist for the Walker Percy Prize in Short Fiction for the short story "The Vacuum" at the New Orleans Review. I was Writer-in-Residence at the H.J. Andrews Experimental Forest, a Long-Term Ecological Research site and 16,000 acre forest about 50 miles east of Eugene, Oregon. The forest is on the western slope of the Cascade range and is home to scientific studies on many aspects of forestry and the forest ecosystem. Review of the art book Oak: One Tree, Three Years, Fifty Paintings, by Stephen Taylor, up on the Terrain.org blog. Review of the essay collection The Way of Natural History, edited by Thomas Lowe Fleischner, up on the Terrain.org blog. Nominated for a Pushcart Prize by Bellevue Literary Review for the essay, Radon Gas and the Believers. Review of Tom Montgomery Fate's new memoir Cabin Fever: A Suburban Father's Search for the Wild, on the Terrain.org blog. Essay, "Radon Gas and the Believers," reprinted from Bellevue Literary Review on Salon.com as "Why I Made Myself Radioactive." New essay, "Radon Gas and the Believers," in the 10th Anniversary issue of the Bellevue Literary Review, 11.2. Fall 2011.
Review of Suzanne Roberts's Three Hours to Burn a Body on the Terrain.org blog. Review of the poetry collection Story Problems, by Rob Carney, on Terrain.org. Review of Simmons Buntin's poetry collection Bloom in Gently Read Literature. New poem, "Delusion: As Equation for a Diminishing Vision," published in the premiere issue of the New Purlieu Review. Jazz vocalist Maria Neckam and the ToneArt Composers Orchestra perform the world premiere of Windowpane a new piece of music by international composer & musician, Rene Mogensen. The piece includes as lyrics Gottlieb's poem "Windowpane." Performance at 8:30 pm, Copenhagen time. Review of Bona Fide Book's new anthology Permanent Vacation: Twenty Writers on Work and Life in Our National Parks. Volume 1: The West on the Terrain.org blog. "Beautiful Poisons: Mine Tailings and Other Contradictions in Montana's Historic Mine Country"
Review of Dale Peterson's The Moral Lives of Animals on the Terrain.org blog. New poems "Housekeeping, Scoville Point, Isle Royale," "Isle Royale: Storm Off Lake Superior," and "Open Throats," published in ISLE: Interdisciplinary Studies in Literature and the Environment 18.1, Winter 2011.
Review of McKay Jenkins's What’s Gotten into Us? : Staying Healthy in a Toxic World on the Terrain.org blog. Joins the Terrain.org family as the new Book Reviews Editor.